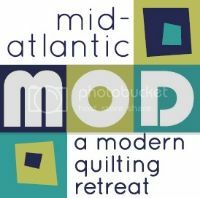 Philadelphia Modern Quilt Guild: Spotlight on... SUSAN!! When I received four messages from Susan McKey ending with, “I hope you can get something intelligible out of all this”, I knew I was in for a treat. And subsequently, you are too!! Read on to learn about the life and loves of your fellow PMQG friend. My name is Susan McKey. I live in Elkins Park, PA with my husband and two children. I was born and raised on Cape Cod and I consider myself an irrepressible New Englander. Even though I've lived in the Philadelphia area for more than half my life (since beginning college at Swarthmore in 1983), I still call Chatham, MA my "home". My sister and I still own the home we grew up in, and we rent it out in the summer, and I try to spend as much time there in the off season as I can.I am almost 45 years old, but that is neither here nor there... Most people don't believe me when I tell them my age, and usually I act like I'm 25...I recently started raising hens in my back yard. I grew up raising chickens, pigs, and turkeys (yes, on Cape Cod). I really wanted to get back to raising animals, especially for my kids. It's the Laura Ingalls Wilder in me... I also garden, and try to grow as much of my own veggies as I can. I am a professional theatre actor, and have been a company member at People's Light and Theatre in Malvern for 22 years. I consider it my artistic home. I've also worked at most of the other theatres in Philadelphia, and I am a Barrymore Award winner! (annual theatre awards, like the Tony's, but Philly-based. )I am also a singer, and play out (when I'm not in a play) a couple times a week with my band, Lucky Brown, and with the E.B. Hawkins band. We do originals, bluesy, folksy, standards, sultry. I've always been a sewer (thanks to my Mom, sister and those wonderful Home Ec classes in grade/high school), but when I was in my late 20's, I was looking for a way to quiet myself, to learn patience, perhaps. I don't know how to describe it, but as soon as I saw my dear friend Carla quilting (we were in a play together and she would spend her down time during scenes she wasn't in hand-piecing and quilting), I knew that was what I wanted and needed to do. So I guess I was 29. It was a scrappy patchwork queen sized done entirely by hand. I loved every moment. I still have that quilt on my bed. My friend Carla Jo walked quietly alongside me as I basically taught myself. She caught me when I fell, and sometimes she would show me a couple of stitches, and then let me do it. Hers were always even, tiny and beautiful, and mine were not straight, huge and wonky. I still love looking at that place on the quilt where our two stitches are side by side. We became very good friends during that time. Nope. But I feel like I'm learning from others all the time. Probably the fabric. I really am an addict. I also love cutting. Call me crazy, but it's so satisfying and full of potential. Also, taking a new quilt out of the dryer for the first time. But who doesn't love that? Designing. So hard that I rarely do it. I see another quilt I like, and I copy or make one similar. I am a very lucky person and I have My Own Studio. When we moved to Elkins Park two years ago, the first house we looked at had a detached converted garage. No other properties interested me, and at the time my husband and I were working on our marriage in a way where needed to individuate some, so that 600 sq. ft. studio seemed to make perfect sense. Bless him, he agreed, and now my studio is my haven, my nest, where I regroup, let go, so that I can be a better wife and mom. I used to only quilt by hand, and I did like it, but now I happily machine quilt on my trusty Bernina. Depends on if I'm in rehearsals or not. If I'm working 40 hours a week, I might not get into the studio for a week or two. But the deeper I get into making, selling, etc., the more ways I find to bring my quilting to work. I love tech, for instance, because we often have hours on stand-by, and I just drag my machine into the dressing room. It's a good way to spread the bug, too. I try to name them all. I always label them. Sure, in the way Carla taught me, by doing it around people, them taking interest, then they start a project while we're in a play together and I just guide them when they need assistance. I never understood favorite colors. How can there be a favorite? All colors are rich, full, meaningful. Color-choosing is more about the "story" I'm trying to tell with the quilt. What kind of feeling do I want it have? I love it when people tell me what colors are in the baby's room, for instance, because often I end up working with colors I would never have thought to put together. Like blue and brown (my last friend's new baby quilt). Oooh. This has been my undoing. I can't NOT investigate new online stores I hear about from the bloggy world. Fabricworm, Hawthorne threads, Pink Chalk Fabrics, blueberry buckle, down shadow lane, fabric-store.com (for linens). The list goes on. I also pick up basics at Joann's, like Kona solids. And I'm so lucky to have two local "mom-n-pop" stores: Country Quiltworks in Montgomeryville (although they've downsized, it's still a great place to have nearby), and Cloth and Bobbin in Narberth, although I don't get there as much as I want. 1. "Pear" A whole cloth quilt with a panel of fabulous Maremekko print. A giant pear. Done, actually, coming out of the dryer as I write. 2. A New Wave twin sized, based on the pattern by Elizabeth Hartman at Oh Fransson! 3. A string quilt with the tutorial from Ashley at Film in the Fridge. A long overdue quilt for my aunt and uncle who live near Keepsake Quilting in NH, and have given me fat quarters for years now, and it's time to give them a quilt. 4. Another "boyish blocks" for my other brother. Also overdue. 5. A flannel quilt for my son, promised him a year ago. Oy, this is getting depressing. 6. And I'm starting my first quilt-a-long with AmandaJean at crazy mom quilts. this afternoon I'm going to make my first "jelly roll" with fabrics I have in my stash and carefully picked out, because I promised not to buy another piece of fabric until I've used up some of my stash. I'm pretty full-up, but someday I might like to learn soap making. I want to build up my blogging community. I want to develop a good side business of selling my quilts. I think maybe it might be making my studio into my quilter’s haven. I really turned a corner when I got serious about outfitting my studio. I had to think about why quilting was important to me. I decided to start selling my quilts, where that hadn't appealed to me before. I think also selling my first quilt from my Etsy shop to a complete stranger. Someone who just wanted one of my quilts because of what they saw, not because they were my friend or family. Oh, and watching one of my quilts go for $12,500 at an auction at People's Light (my theatre home). That was probably highest quilt-related rush I've ever had. I've never had a motto. I like to think that I am someone who lives fully in every moment. Is that a motto? It seems to me that you are breathing and living art at all times. The pictures and stories you provided are priceless. Hope to meet you all some day in person. Until then, this is such a nice way to get to know everyone! Nicole, Thanks for all your efforts!